Check out the blog award I won over at my new blog, Ready2GetHealthy! 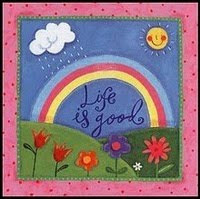 I won the Life is Good blog award from CoastalCouponer. My very first award!! :) Just had to share with y'all!